Recently we announced the appointment of our new Spa Director, Shelley Hepburn who will head up Gaia Spa. 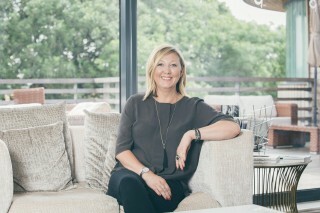 With a career spanning over 20 years, Shelley, originally from Cornwall, has dedicated her career to the spa and wellness industry opening and developing some of the UK’s leading hotel spas such as The Grove, Pennyhill Park, The Bulgari in Knightsbridge and most recently opening The Ned, part of the Soho House Group. How did you get to this position - what was the pathway and what did you do before Gaia? My journey started as a therapist 20 years ago. I trained at Saltash College in Cornwall and soon after got my first role at Champney’s Tring in Hertfordshire as a Beauty Therapist. After 2 years of hands on therapy I took on more responsibility in the management of the spa. I stayed at Champney’s for 4 years before being offered the position as spa reception manager and was part of my first opening at the Grove Hotel. I developed the overall offering for the treatments and walled garden experience. After 6 years I took on the role at Pennyhill Park as spa manager. Working closely with the MD, I developed the outside offering as well as changing the existing brands they had, to offer a more unique spa experience. After Pennyhill Park I was offered the role as Spa Director at the Bulgari Hotel, Knightsbridge, a high-end luxury brand. I developed the membership programme and innovation international treatment menu. I developed an in-house skin clinic and offered result driven treatments such as mesotherapy, radio frequency, LED and Cryotherapy. After 5 years, I moved on to the Ned, part of Soho House Group, this was the largest spa opening in the City with 250 bedrooms, a rooftop bar, vault, spa, boxing, yoga & spinning studios and membership club. As part of the project I developed fast result driven treatments for the city and offered a barber shop, hair salon and Hammam experience. I developed an in-house facial exclusive with Annee De Mamiel creating the urban warrior, fire & ice express facials with LED, far infrared and IV drips for numerous health benefits. What do you think you will bring to Gaia? Gaia is a beautiful brand and I would like to develop the wellness programming for the spa. I would like to see the brand grow and hopefully with my expertise in help to develop the specialised services. I believe in the best client care, informal but impeccable. I’m looking forward to working with and developing the existing team to grow the individuals to their full potential. Being a great brand is always about having great people. What sets Gaia apart from other spas? Its beautiful setting and the story behind Gaia, the facility and the future opportunities for health and wellness. What is the ultimate treatment that everyone should experience at Gaia? The Gaia Poultice massage – not only is it wonderfully relaxing, it increases the flow of chi (energy). For the face, I would recommend the Jade facial in combination with the LED – it’s the ultimate in rejuvenation and lymph drainage to give the skin a glow and make it feel and look healthier and firmer. Can you share your top wellness tips? I would recommend drinking Himalayan salts every day in warm water, ideally the first thing you do in the morning. It’s great for hydration, detoxification, digestion, better sleep and reduced inflammation. Diane Nettleton who is part of the family that owns Boringdon Hall & Gaia Spa, her passion for Gaia but her dedication in everything she does truly inspires me. She has influenced me personally and professionally. If you could recommend one area of the spa to spend your day, where would it be and why? The Spatisserie. 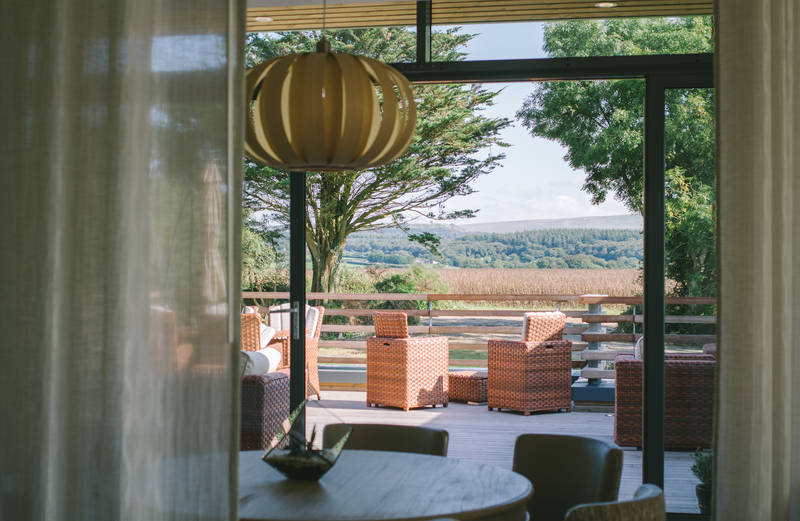 I would spend hours in this space, enjoying the light, the beautiful views of Dartmoor and wonderful service and cuisine. When you’re not at work, how do you enhance your wellbeing? I have recently moved to Devon from the city and I’m just discovering the coast, sea air, beautiful walks and time to just be still and enjoy the moment.